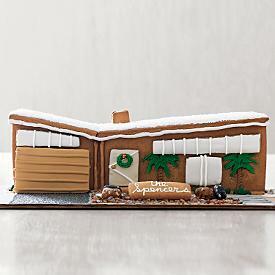 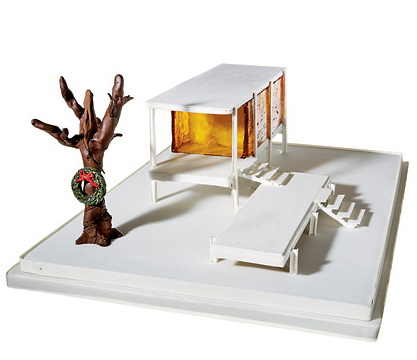 This gingerbread version of Farnsworth House — Mies van der Rohe’s modern masterpiece in Plano, Ill. — is a (deep-pocketed) design lover’s dream. 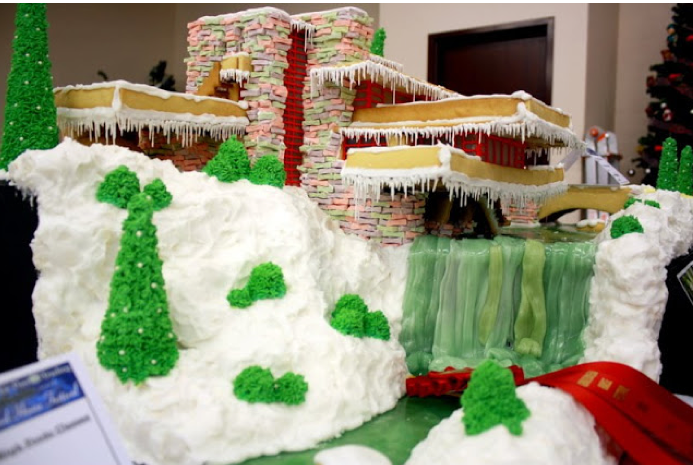 It took the elves at April Reed Cake Design several days of photo research and about 25 hours to construct the fondant-covered walls, poured-sugar ‘‘glass’’ windows and sugar-paste I-beams and staircases. 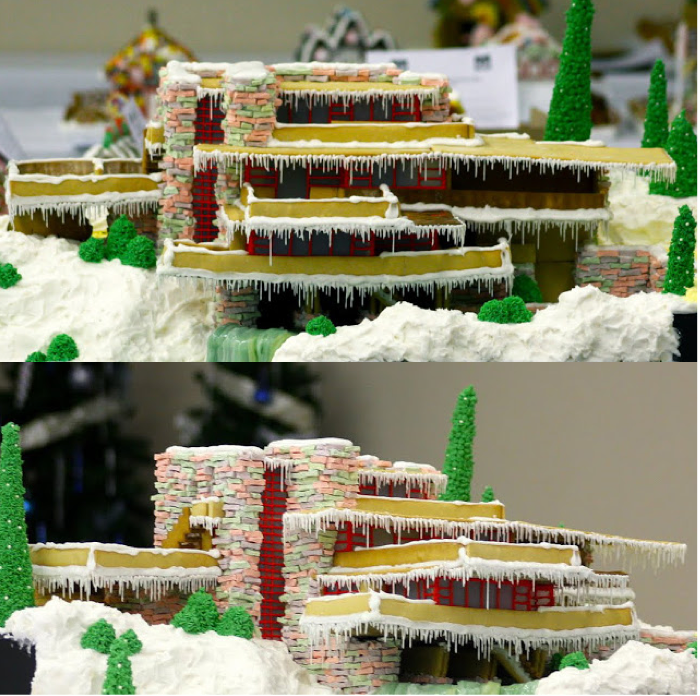 The project was a natural progression for the Manhattan cake maven, who specializes in stylishly spare confections for weddings and parties. 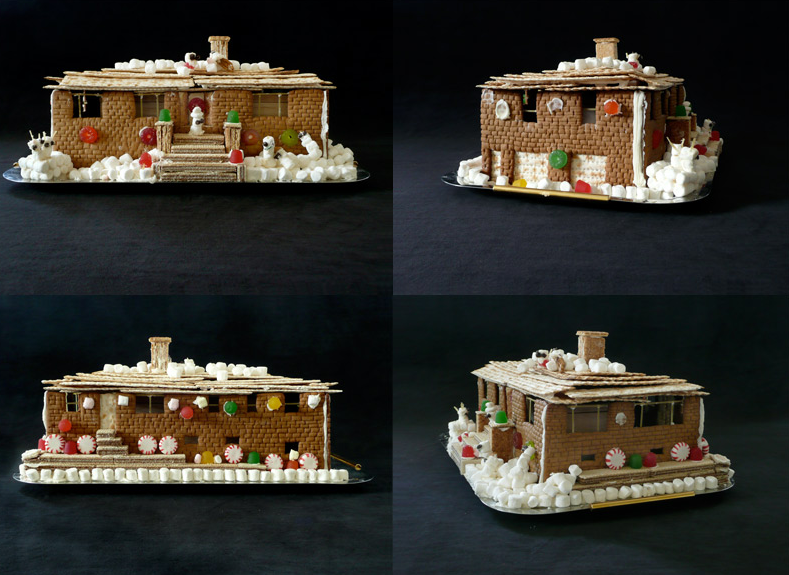 ‘‘I tend to pass on overly theme-y cakes, but I have a soft spot for commissions that are intriguing from a design perspective,’’ Reed says. 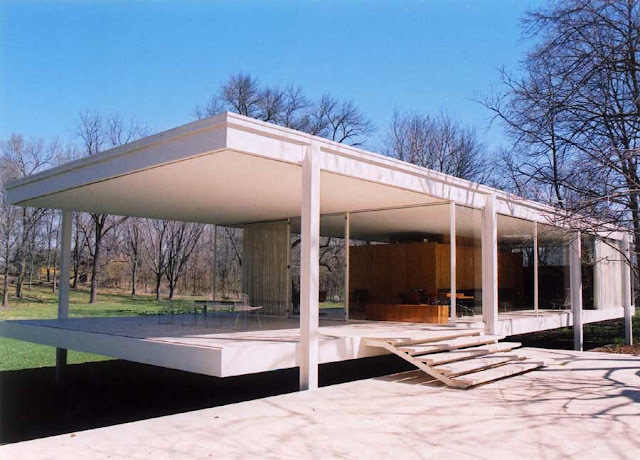 The house costs $4,320, with 15 percent of the proceeds going to help repair the real Farnsworth House, which was damaged in a September flood.